Architect Adewumi Adeyemi is a former Students' Union President of Federal University of Technology, Akure. 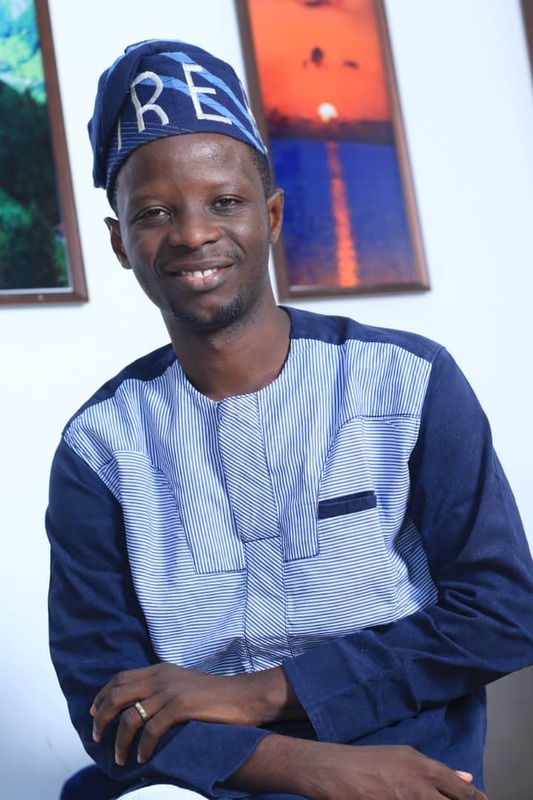 A doctoral student in the same Institution, Adeyemi is the Peoples Democratic Party's candidate for Obokun State Constituency in the forthcoming general elections. In this chat with Osun Daily's Kazeem Badmus, he reeled out his plans for the people of the Constituency. Adewumi Adeyemi is my name. As candidate for PDP in Obokun local government, what is your political background? I'm a firm believer in a better Nigeria, this I have been pursuing to make happen for the past 15years of my life. What have you done for Obokun community that will make the people of Obokun to vote for you? My political background lies in my family and what we've been able to achieve for our community. My daddy and grandfather were very active in community development and politics of the community. This is what I'm building upon as a politician from this lineage. To the glory of God, I've been involved in series of community development projects aimed at building the community for more than nine years. In 2009, even while still a final year student, I began organising empowerment programme for members of my community. As a corp member in 2010/2011 some students were on my scholarship from the resource I earn then. We've been able to train farmers in the community on the platform of our project called "farming to wealth" as organised by the Adewumi Adeyemi Foundation. We have empowered and trained youths in the community on different skills and trades. The Adewumi Adeyemi Foundation has also organised an inter-school debate for all the government owned high schools in Obokun Local Government. As a youth myself, I'm engaged in a project that helps me to personally mentor different youths in the community. Some of this youths are back in school today. This and many more I've been privileged to organise for my community. I hope to be able to build on this when given the opportunity to represent my community in the Osun State House of Assembly. I'm not running an expensive campaign. I've been able to raise fund from the company I'm privileged to found. Family and friends have also been a great deal of support. We've people donating to our campaign on monthly basis. We've been able to meet every of our financial needs. You were a one time SUG president in FUTA, what was your achievements that will serve as antecedents for people of Obokun LG to trust you? The first sets of support I had when I first made my intention known to represent my community in the Osun State House of Assembly came from FUTA, especially the generation of alumni that were a part or heard of what we did while in active student unionism. This speaks volume of what I was privileged to achieve as a student leader. Many of who I can hardly remember began chronicling what I as a student leader stands for. This were very inspiring for me. It serves as a boost for my campaign really. As a student leader then, the students were really in charge. We upheld the constitution of the Federal University of Technology, Akure Students' Union. We built a good name for our Alma mata at home and abroad. We fought for the rights of the students without violence. We made the students have a voice both with the school management and the government. FUTARIANS speak of our achievement always and I'm grateful to them for given me the opportunity. Why did you venture into politics? I believe we can use the government instrument to further expand sustainably our community development projects for the benefit of community members. I believe we can make people oriented policies that will be people focused for the members of the community. I believe massive investment in education will make history the Nigeria's challenge. We'll make educational policies that will make education affordable. We'll make policies that will make our educational system qualitative with very impressive products as proofs. I decided to be a part of Nigeria's political system to make my community better and to help create a system that'll make Nigeria better. How popular and acceptable do you think you are in your constituency? Very popular and widely acceptable. I've come to discover that despite the decadence in our political system, our people possess the ability to discover true leadership when sighted. I'm grateful to my community members, our leaders, women and youths for this uncommon acceptance. People I've never met before, but because they read or heard about me are busy campaigning for me. Such things inspires me a lot. I'm very grateful to them. Right in the community, I've some group of people that brought themselves together and decided to selflessly work for my emergence as the member of Osun State House of Assembly. They produced campaign materials for me at their expense. I'm grateful for this. How do you intend to bring development to Obokun local government? The education, economy and welfare of my community will be my topmost priority. We'll engage our youths and community members in different levels of training that will make them generate products that will turn around the economy of our community. One of the challenges we face as a nation is our poor level of productivity. I'll seek to ensure our productivity level is increased as a community. With our influence across the world, we'll bring about investment in our communities. I'm receiving many of such calls even presently now. Development can only come to our community by the people, so our target will be to develop the people to develop the community. As intending member, what type of relationship should we expect between legislative and the executive arm during your tenure? Oh... A very cordial one, as long as the interest of the executive and even the legislative is to develop the state. In the next five years, I see myself actively advancing in the next stage or level of my community development projects. What do you intend to do differently from the incumbent if elected? We'll bring leadership with people oriented vision to drive the development of the community. We'll get the people involved in the development of their community. We'll develop the community sustainably with skill and integrity. What advice do you have for the stakeholders as we approach the polls? Every stakeholder should please endeavor to eschew violence. The contest shouldn't be a do or die affairs. Is it not to serve the people? Let the people freely choose who they want to be their servant. What do you like doing at your leisure? Laughs...I enjoy watching movies that has to do with governance and leadership. Can you be specific what you will use the common purse of the electorate for if elected?
. The resources that belongs to Obokun Local Government will be used to develop the local government. Can we then say in the next 5 years you will be gunning for a higher position?